I’m hoping to start writing a narrative sketch of one homeschool day a month, per Julie Bogart. It’s a really great idea to get a snapshot of your homeschool life. I’m not sure how great I did on capturing all the conversations, but I think I captured a ton of info anyway. I woke up with my 2.5 year old, Lowry, and brought her in my room. I put on some preschool songs (Baby shark, anyone?) and took a shower. This is the 2nd time she’s stayed in my bed while I showered. Hallelujah!! I got us dressed and went downstairs to fix breakfast. Gage, 5, called for me from his room, so I told him to come downstairs. While the kids ate breakfast, I read A House for Hermit Crab by Eric Carle. The kids played for a bit after breakfast, and then Noni took Lo to her music class. It was SO nice being alone with Gage. We got so much done (as much as expected of a 5 year old). We decorated our own paper hermit crab shells. He wrote his name, age, outlined his hand and decorated a cake on the first page of his All About Me journal. We also read Me on the Map by Joan Sweeney and did the really fun activity below. We also used Google Maps and Google Earth, which is always a hit. Gage was writing and coloring a lot and mentioned that his hand was tired. Not once did he complain about what were doing. I complimented his effort and he was so proud. Afterwards, Gage watched some engineering videos (what they do, what they build, simple machines) and I downloaded a new game for him on his tablet. Noni and Lo came home and I had a fun activity ready for Lo. She had to rescue her animals from tape traps. It was a great fine motor activity and kept her busy for a good 20 minutes! I made lunch and the kids watched Blippi and Rube Goldberg machines, which my son is so into right now! After lunch, it was nap time for Lo and G always does quiet time in his room so that I can have a breather. Being an introverted mom with a spirited child is a challenge on my mental well-being, but he is worth all my discomfort. G played with his marble run and LEGO, and then he made “nests” for his marbles out of clothing. His imagination is delightful. After Lo woke up, we came downstairs for a snack of apples and nutella. I set up G’s LEGO chain reaction kit and we completed one of the challenges. Lo tried to mess with the creation and he reacted strongly. I was proud of his quick comeback though, and told him so. After snack, we had a mini-dance party, then G played the Wii and Lo played Endless Numbers and Endless Reader on the tablet. I took the quiet to read some of John Holt’s Learning all the time. Daddy came home as we were cleaning up (we don’t often eat dinner with daddy during the week because he gets home too late, but sometime we eat later than my kids would like :P). The kids played at the art table until daddy was done eating. Lo and I played while my mom (who lives with us), daddy and G played There’s a Moose in the House. Super cute game that my husband always seems to win! We went upstairs to brush teeth and get ready for bed, Bed time is always an event with Lo. She does not like to go to bed, so one of us stays with her while the other does bedtime stories with G, and then we switch. He has come a LONG way in terms of bedtime routine. It was once a nightmare, but he pretty much knows the routine now. Brush teeth, floss, potty, and read books. Most of the time my husband plays with G 1:1 before bed, but it didn’t happen this night. We’ve noticed that 1:1 time with him, where he is in control of the play, really pays dividends towards his behavior. Spirited kids need to feel powerful, and when they don’t…BOOM. Yes, I understand I haven’t written on the blog in about 3ish months. I have not been great at consistency in a lot of my life lately, which is really mucking me up. I have always been organized, scheduled, had some sort of order. Since becoming the CEO of my home and Home Educator of my children, I can’t seem to get it together. First of all, look at these faces!! Social Skills/Relationships: -Lots of good and not so good interactions with Lowry. When he is not being aggressive with her, they play so beautifully. She loves him so much, copies everything he does (which can be a curse! ), and asks about him first thing every day. -I left Gage at both of his classes. I usually stay with him, but it’s time to cut the cord, people. He needs the social skills practice so I am so thankful these opportunities arose. According to the teachers, he followed social cues, paid attention and followed commands. He has come SUCH a long way in 2018. I actually went out last night with some fellow home school moms who have become my lady friends! I haven’t had a girls night in a long while (though me and my mom have had some fun dates). I honestly don’t have many friends anymore. I’m not great at keeping up with people, and the friends I had before kids have drifted, not anyone’s fault. Just…life. Anywho, I appreciate these ladies and am thankful for their friendship. I haven’t written in a month, dear blog, and I apologize for that. I had good intentions to keep up with you, but when I feel like I can’t keep up in the outside world, it’s hard to come here. But I’m here because I think writing can be therapeutic. I’ve had some personal ups and downs lately and while I’m ok in the grand scheme of things, I do think I’ve lost a bit of who I am along this parent and homeschool journey. Giving my everything to my kids is great, but it has left me feeling kind of like a shell of my former self. Anyone will tell you that you can’t be an effective *inset word here* if you don’t care for yourself first. I wholeheartedly believe in that and therefore, I’m taking steps to care for myself, finally. I’ve started therapy, which is interesting, scary and awesome. I’ve only had my first session, which went well. She suggests Cognitive Behavioral Therapy and Dialectal Behavior Therapy. CBT works at identifying thoughts behind feelings, so I’ll be keeping a thought journal and doing some other “homework.” I hope this will help me identify why I get angry and frustrated so easily. DBT works towards meaningful goal setting, identify capabilities, increase motivation, etc. We will also work on coping skills, which I am starting now. I’ve started keeping a daily mindfulness log with simple prompts: I will let go of, I am grateful for, I will focus on these 3 things, I am, and My 3 moments of joy today. I’m going to start doing daily yoga, short sessions to start. Probably Cosmic Kids Yoga so I can get the kids in the fun. I’ve set a reminder to do daily neck and shoulder stretches, as I suffer from daily neck pain that often leads to headaches. I’m hoping to fit massage therapy in somewhere, even if only a few times a month. I want to start paper crafting more but I often have zero creative energy left in me at the end of the day. I need to figure this one out! I miss it so much. I don’t like feeling out of control, and it’s something about myself that I dislike. I can be a pretty easy-going person to the outside world, but feel different inside my own home. I want to care less about the dishes and more about my kids. Don’t get me wrong, I spend plenty of time with them, but it doesn’t’ feel authentic in my heart because I’m thinking about the millions of things I need to do and never get to. When I first read a blog post on Brave Writer, I wasn’t interested because my oldest was 3.5 at the time, and why the heck would I be wasting time learning about a writing program? Fast forward one year later, and I can tell you just how much this lifestyle has won me over! No, I haven’t started the writing piece with him (at 4.5), though I do scribe things for him now and again. What I have started to do, however, is live the Brave Writer lifestyle. It’s not perfect and it doesn’t include all the components because my kids are young, but we currently enjoy poetry tea time, reading aloud, nature exploration, one-on-one time, and movies/TV together. I have become a true believer in this way of life because of the woman behind it all. Julie Bogart is a homeschooling veteran with a heart of pure joy. 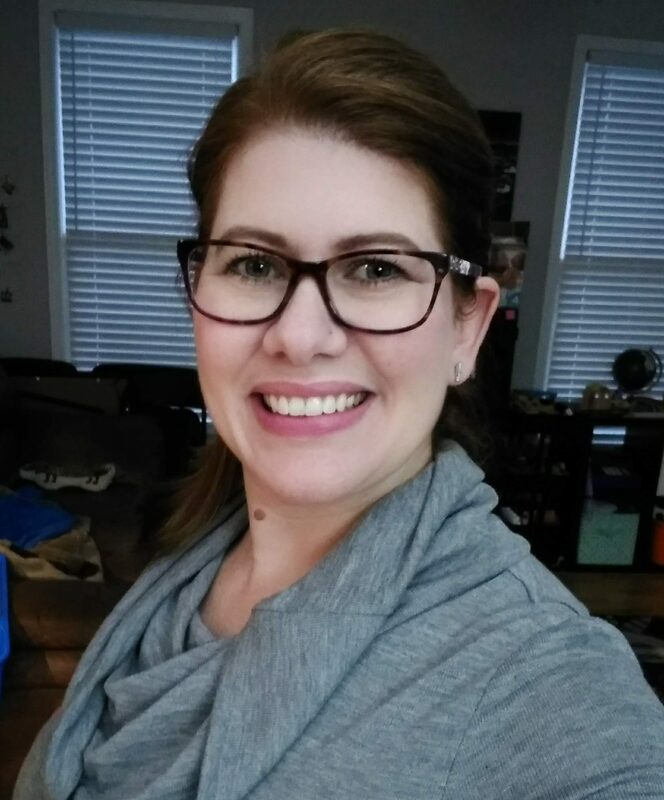 She is a genuine soul who uses her own experiences (she has 5 adult homeschooled children who are all living awesome lives) to help current homeschoolers find our way. She created Brave Writer due to her personal issues with how writing is taught (not handwriting, but creative writing). She truly believes it is a partnership between parent and child, and I couldn’t agree more. It should be that way for all learning! As she has said in podcasts and live talks, we are extremely involved in teaching kids how to talk and read, but everyone thinks writing should be an individualized process. Why? Her podcasts and blog posts have been life transforming for me. This time last year, I was trying to get my 3.5 year old to do “pre-school” work at the table, where he quickly let me know, every single day, that I was crazy. All the time I spent printing worksheets, cutting and laminating things, was quickly and quite literally “thrown to the wind” by his little hands and his big feelings. Julie really made me rethink WTF I was doing to this poor kid, who is a super active hands-on learner. I could see he had no interest in the things I was doing, so why was I pushing? Isn’t that what often happens in public schools, and why kids end up hating learning? Ugh. I was so angry at myself. I’ve come a long way this year, finally deciding to take a more unschool approach. I strew things around the home, take my kids out to explore the world and experience life and let them PLAY. No, my 4.5 year old has zero interest in reading (though he is able to when he decides to try) or handwriting. He’s 4.5 and I’ve learned to chill the F out. I’ve chosen to homeschool for a reason. I am not running a public school and therefore, I do not need to bend to their standards. He will get there when he’s ready. I believe there are no educational emergencies, especially at his age. This whole post has turned into something I didn’t expect. I must have needed to get this off my chest. I started the post to write about meeting Julie at the SEA Homeschool Conference last weekend in Atlanta. It took me a while to walk up to her table and introduce myself. I told her that I joined the Homeschool Alliance, a kind of grad school experience for home educators, even though my oldest was only 4.5. She gave me the biggest hug and commended me. She was so personable and genuine! On Saturday night, the attending Homeschool Alliance members were able to coordinate a dinner with Julie, and that was a serious treat. Listening to her speak about real life things, showing vulnerability, and hearing the struggles and triumphs of other HA moms was all so very special and a memory I shall cherish. Julie is an exceptional human being, and I thank her for helping me see the way. I was super lazy writing things down, and my short-term memory is the pits. Luckily, I take pictures like paparazzi, so it helps me remember the fun we have. Record keeping is important, but when it feels like something I HAVE to do (and I don’t HAVE to at this point), it starts to feel like a chore. I need to get in the habit though, and putting it on the blog is my accountability and reflection time. Wednesday, Lowry and I went to Toyota to have the van serviced, and long story short, we were there until from 9a – 3p. She was such a trooper, and luckily I had the stroller so we could go across the street to Hobby Lobby and TJMaxx, where I surprisingly only spent $30 total! I also let her roam around the dealership, where she was the star of the show. We took the kids to Chattahoochee Nature Center for the first time. Besides the heat and humidity, it was a fun day. Gage is affected by the heat like I am, and he wanted to leave before we did the boardwalk. We enjoyed the fossils, rocks and shell collections inside the center, as well as being able to see an opossum up close and personal. We also got to see a beaver in their beaver habitat. The best part was the butterfly encounter! They kept landing on Lowry’s hat and she had no clue. Math: We’ve discovered a new British cartoon on YouTube called Numberjacks and it’s pretty great. These animated numbers, with a human friend, go and solve real world math problems. Gage loves it. I remember how much he learned from Team Umizoomi about shapes and patterns a few years ago, so I’m all for this show. Science, Engineering & Nature: Read a book on water and discussed needs/uses, Lots of talk about electricity this week, Read some of an article from National Geographic Magazine on plastic use and how it’s affecting the environment, shared the pictures with Gage, Read Actual Size and looked up the Goliath Frog and Goliath Tarantula on YouTube, saw insect vs insect videos, which scared Gage, Broken bones videos (how the break and how to fix them), Octopus and Nautilus videos, Magic School Bus videos have led to lots of different things to explore. We built a balloon rocket between chairs. We got the game Fossil On and he LOVES the rocks. I should have purchased Rock On, but having the fossils is still super cool. Learned facts about the Harvest Mouse, which is super tiny and adorable! Social Skills/Relationships: We didn’t get a lot of this in this week. He played well with others at Tumble Time. He has also gotten better about sharing with Lowry, though a work in progress. Trying to teach him to come to the dining room table or go to his room if he doesn’t want to share with her. I’ve agreed to take on the Communications role for our co-op. I haven’t been super involved in the co-op outside of the classes because of having small children, but this is a role I can do a lot of from my computer. I’ve done this kind of role for organizations in the past, and I’m really good with social media, emails, etc. So, hopefully I do a good job! I’ve already been feeding the co-op’s public page with interesting homeschooly tidbits and events in the area. Hi, I’m Ash, but you can call me Smash. I’m a former social worker turned stay at home mom. I’m beginning the adventure of homeschooling my kids. I’ve come to realize that LIFE is the best learning tool, and we plan to live life…my type A, controlling personality be damned! All the rambles, rants and musings in this blog are the property of Smash and should not be used without due credit. Smash also speaks honestly and openly about items she receives for promotional consideration.